We have relatives living on three different continents, so travelling long distances is a normal thing for our family. Whenever I pack, I always have the biggest dilemma of wanting to take my whole cupboard full of herbal remedies with me. 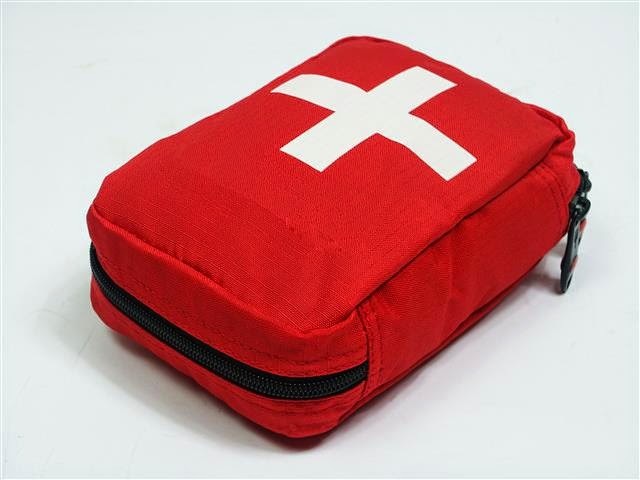 Luckily, since there is only that much you can take with you on the plane, I have come up with a short list of remedies with a wide range of uses that have become a part of my Herbal First Aid Kit. So today I want to share this list with you. # 1 is definitely the Rescue Remedy. It contains Bach flower remedies, which work to calm the nervous system in case of a shock, scare, fear, trauma, upset, stress etc. This is the remedy that I simply have with me at all times and don't leave home without. It is the first thing I give to my kids if they are stressed for whatever reason, are moody and weepy etc. It works miracles. Very often within minutes they become so much calmer. It is absolutely fantastic in stopping the anxiety before school, daycare, performances etc. I also take it myself straight away if I am anxious and/or emotional, as the kids very often get it from us. #2 Arnica homeopathic drops or pellets: Best first aid for anything like injuries, bruising, sprains, strains, head injury or concussion, birth trauma. Can also be taken before any kind of surgery or dental work. Brilliant for the postnatal(following birth) period recovery. #3 Pine Nut Oil (NOT an essential oil) or DioxyMed(DiO2xymed). They can be used for any sorts of infections, bruising, sunburn, mosquito bites etc. We have successfully treated an eye infection with the pine nut oil, as it is the only oil that is allowed to be put directly into the eye. But you have to check the label carefully to make sure that nothing else was added to it. #4 Tea tree oil- amazing anti-viral and anti-bacterial. Can even be applied directly onto the skin. It worked amazingly in healing otitis when our daughter was little. #5 Pau De Arco tea is my absolute favourite now. It is hard to describe all of its healing properties. From anti-bacterial and anti-viral to healing for the digestive function, enhancing brain performance, immune system etc. You can find more about it here. I successfully use a combination of Arnica, DioxyMed(DiO2xymed), Pau de Arco tea and Rescue Remedies for all of tbe flights with kids. Makes an amazing difference at how the flight goes and the amount of time it takes to adjust. Kids often behave like we hadn't just flown non-stop for more than 24 hours. Please, check individual remedies for specific instructions and dosages.